Management accounting analyzes, plans and informs. This requires a reliable database, but also flexibility in designing reports, presentations and dashboards. These requirements often can´t be combined in a software system. The discussion about the authorization of local reporting solutions, that complement central standard systems, is currently up-to-date. 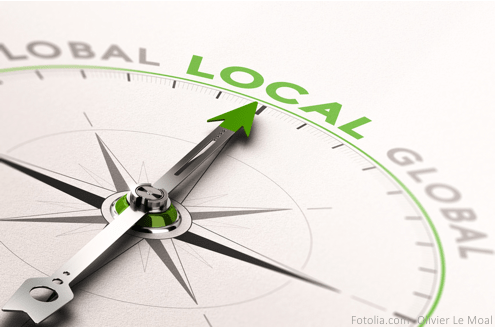 The article reports from practice and conveys the advantages and disadvantages of local solutions. When I wrote ‘local report solutions’, I could already hear the prompt “think big or go home”. It seems that the management accounting is focusing on big data and the big BI solution. But what is the true situation? What experiences we make in our projects? The utopia of the one system into which all the data flows and from which rapidly different reports can be generated to steer the entire enterprise, is the driving force of many positive, important developments. But the resource expenditure behind this idea ist enormous. This type of reporting is made practical by a high degree of standardization and continuity. Data collection and storage benefits from the general conditions. However, the reports and presentations that provide centralized systems are limited by these conditions. They are not very variable and can only help partially in answering non-standardized questions. Automated, local reporting tools can overcome these communication hurdles. Therefore they are a flexible and cost-effective alternative. From our projects we know that a mix of central and local reporting solutions is the best course of action. At this point it is important to split the management accounting IT. The topics of data collection and storage are to be separated from the communication of the results, the reporting. Collecting data in isolated applications must be called into question for many reasons. Each BI vendor can name these reasons. However, automated local tools solve many issues when creating reports and presentations. Strictly speaking, local reporting tools are hybrids. The data they access is usually from centralized systems. The reporting is done in front-end tools that are individually designed and managed locally. The distribution of reports can also be automated and is not particularly limited. Use custom reporting tools when management often needs to change report variants. They make sense if structured data from the DataWarehouse are to be supplemented with unstructured, individual comments and explanations. In strategic management, variable reporting and presentation tools make sense in every case. But operational management also raises questions that can only partially be answered by centralized reports. There is a catch. As a rule, locally generated reports can´t created quickly. The efficient creation of local reporting tools usually requires a very long learning period. The design and planning process requires fewer reconciliations and compromises between the report creator and the report recipient. That’s positive. The technical and creative implementation requires a lot of know-how. Specialized knowledge is needed that has little to do with management accounting in a business sense. Knowledge of the data connection, automation and programming are essential. If the visual presentation and presentation should be efficient and at high quality standards, an above-average user knowledge is necessary. But even without a resource pool of its own, the advantages of local reporting tools are easy to exploit. The development of such tools is an individual service for which there are different solution providers on the market. These are not software providers, but experienced service providers with special management accounting know-how and relevant experience in the field of reporting. Good service providers provide a very high quality standard that meets your individual conceptual and technical requirements. They work directly with the specialist departments in manageable project periods and deliver immediately ready-to-use solutions. chartisan is one of these solution providers. Our focus is the Management Information Design with IBCS® and the technical implementation with the possibilities of Microsoft Office (Excel, PowerPivot, Power Query, PowerPoint) and Power BI. + Local reporting tools allow variable reporting and presentations. + These reporting tools can efficiently display structured and unstructured data. + Local reporting tools are ready for use in short time. + Through the high degree of automation, the tools support the operative controlling routine. + You can buy suitable solutions externally as a targeted supplement to the standard systems. – Through internal development you tie up important resources, time and financially. – When using external service providers, you buy foreign competences. – External service also costs money. Are there any questions left? Need a hint? You are welcome to leave a comment here or to contact me confidentially by e-mail. https://www.chartisan.com/wp-content/uploads/2018/08/Blog-lokale-Reportlösungen-min.png 327 495 Silja Wolff https://www.chartisan.com/wp-content/uploads/2018/03/chartisan_Logo-1.png Silja Wolff2018-08-31 10:58:032018-08-31 11:06:20Are local reporting solutions useful? 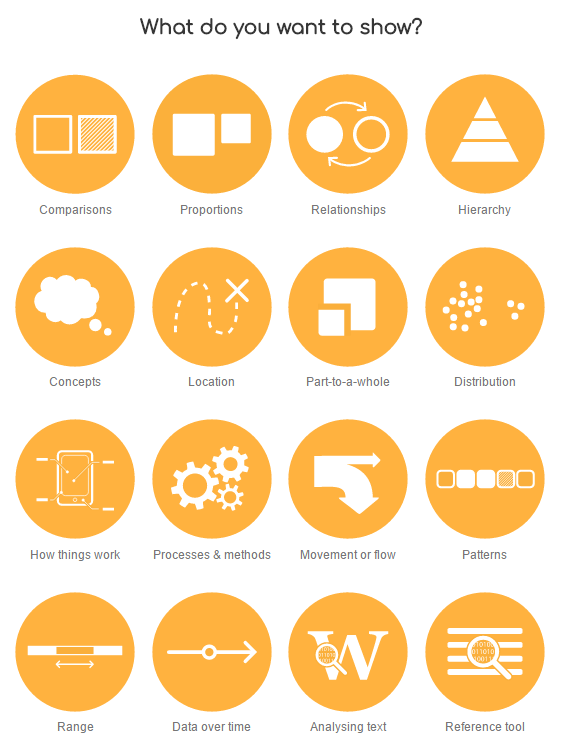 This online catalog is a library of various information visualization types. Initially, the project Ribecca served to expand its own knowledge through data visualization and as a tool for one’s own work. He himself writes about the project: “However, I would like to know how it is. 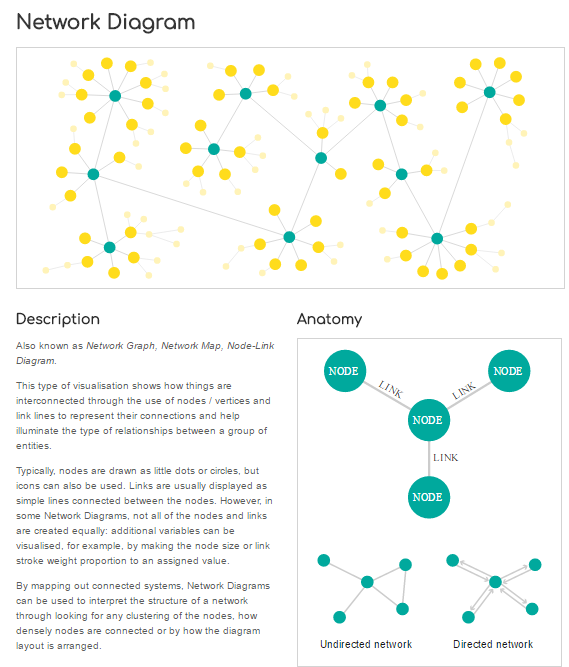 Although there is no such thing as a visualization method, it is not the only way to make sense. So there are a maximum of three well-structured clicks up to the knowledge about individual visualization forms. I find this project visually very successful and meaningful. 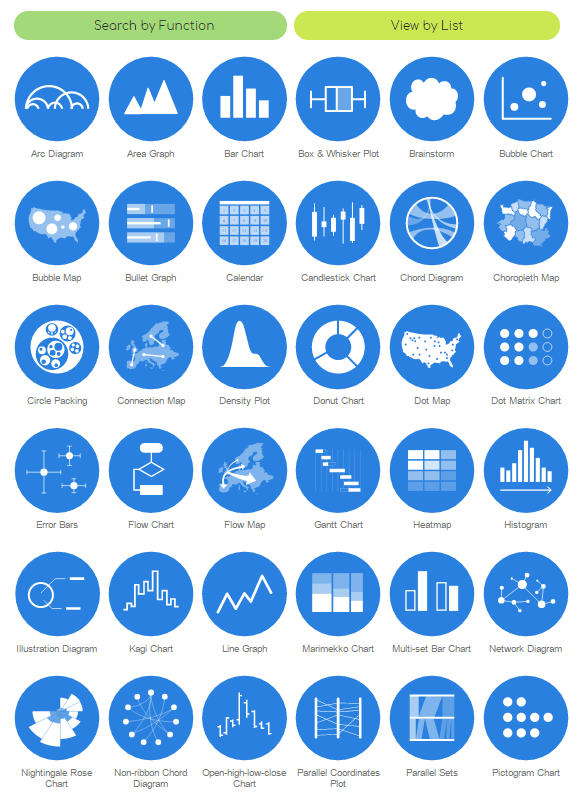 Perhaps this tip gives you some inspiration for your information visualization? The origin of portfolios is in finance and describes a planning method of compiling a package of security papers (security holdings) dependent on to the criteria of return and risk. Later, this method has been applied to other areas in the 70ies. Since that time the portfolio analysis has been modified in many cases and is one of today´s widespread analysis and planning instruments of strategic management. The main idea of each portfolio is the segmentation and evaluation of data volume. Most portfolios are illustrated two- or tree-dimensional. With three-dimensional illustrations the point size is the third value perspective next to the axes. You hardly see four-dimensional portfolios. Here the bubbles are segmented as circular chart next to their value based figure. Basic requirements to all illustrations is, as always, the efficient legibility. This is manageable due to a fast visual comprehension to evaluate data by colouring of bubbles or using diverse symbols. Also marked segmentation criteria, such as lines, will support comprehension. Other than the typical bar and variation diagrams the scales do not have to start necessarily with zero. A deliberate choice of value interval is necessary, if the segmentation should be demonstrated reasonably. In this context reasonable means all points are visible and do not waste space/room. The more frequently a portfolio with diverse data sets is used, the more important is the deliberate choice of the scale. Note: often times a change of the software automation is necessary, as automated portfolio axes always start with zero in Excel. This is less beneficial if all of your data is between the value of 350 and 480. A special attention should be placed on the topic legends and captions. Mark/write directly at the relevant diagram components. That will increase the legibility immediately. Should you make the decision of using a three-dimensional portfolio, the value has to be written directly at the bubble as there is no scale for it. Strategic management is unimaginable without portfolios. Every evaluation, every portfolio approach consists of strengths and weaknesses. But irrespective of the type and structure of each portfolio, the visualisation is key for a beneficial usage of this analysis tool. The mentioned universal criteria above are a good frame for portfolio illustrations. Opinions, trends and behaviours – the interest in surveys is growing steadily. Numerous evaluation results are prepared and presented daily. Diverse ways of visualising the results are available, still some essential basics should be considered. Good to know: Survey results are most interesting when the reader can quickly draw comparisons. When executing the primary demands, mostly some classic mistakes are made which can be easily avoided. Label relevant information directly with the diagram and not in “far-off” legends. This is how you allow your viewer to concentrate on the content of your survey. All questions of which the answer adds up to 100% are part hereunder. Those are for example simple yes and no questions or either or questions as well. With regards to content this relation is important, so visualise it. With many surveys multiple choices are given. Here the adding to 100% is not of relevance. The visualisation of results should be able to illustrate that easily and concentrate on a quick comparison of results. A closer look at several infographics, the information density is either little (see example below). Or complex data are drowned in a graphical “wanting too much”.